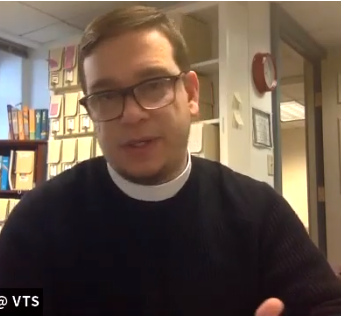 Our Vestry has unanimously affirmed the call of Yoimel Gonzalez Hernandez to serve his first appointment, often styled as a ‘curacy’, with us at St. Alban’s. Yoimel is a native of Cuba, where he was in youth ministry in the Presbyterian Church. He will be ordained a Priest of this Diocese on June 15 after completing his studies at Virginia Theological Seminary. He is sponsored by St. Stephen and the Incarnation and doing his field work at St. Patrick’s, DC. Yoimel (pronounced ‘Joimel’) will begin his ministry with us on August 1, 2019. His primary role among us will be leading our youth ministries, in addition to being pastorally available to those of our parishioners who speak only Spanish. We have developed a plan for his first three years in which he will be introduced to all aspects of parish ministry, toward the end of which he will develop some additional areas of ministry such as working with our growing group of young adults. One quarter of his time for at least the next two years will be taken and reimbursed by our Diocese, who need him to be involved in developing materials and working in the Deacon’s School. So far Yoimel, in addition to being present at our recent Vestry meeting, has met with interview teams of Ken Patterson, Lucy Fraser, Ted Swett, Tomas Montgomery, Veronica Quiguango and Lauri Fitz-Pegado. He has also met with the J2A youth twice and some of the parents once, although not in an ‘interview’ situation. His extensive list of references, both here and in Cuba, are universally positive. One of his earliest tasks will be to join the J2A pilgrimage to Greece this summer. 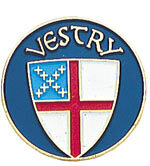 The Vestry was formally introduced to the Rev. Yoimel Gonzalez Hernandez and unanimously affirmed his call to be our new Associate Rector. Also by unanimous consent, we endorsed Sara Thorne as a candidate for ordination to the Diaconate. The Vestry also received the report of the Governance Committee regarding the advisability of appointing a Parish Chancellor. We approved appointment of a Chancellor and Laura Ingersoll was unanimously selected to fill the position. Expanded summaries of this and previous Vestry meetings can be found here. 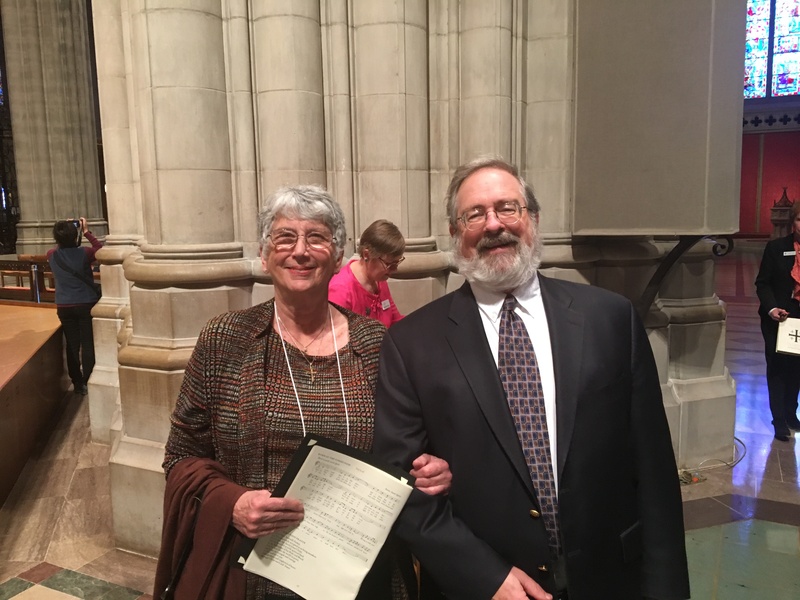 Seabury's annual celebration of service at the National Cathedral honored our own Jo Turner as "an older adult who has made a significant impact through service and leadership." Jo's citation notes her 25 years of active service at St. Alban's and her life of "compassion and care-giving." The full text along with information about other honorees is here. It is with decidedly mixed feelings that I have shared with the attendees of our 11:15 Spanish Language Liturgy that Debbie Kirk will be leaving us this summer. There are two parts to this. First, as most of you know, we were able to fund Debbie’s position with us by donating half her time to CASA de Maryland and paying for it as part of our Global Mission budget, which was not sustainable in the long term. 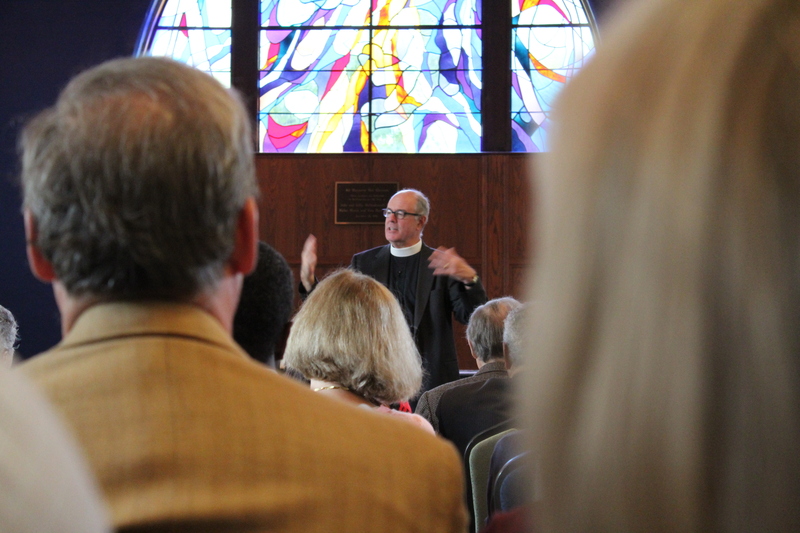 Second, I have been in conversation about how to find or create a sustainable model for this congregation going forward, given that ‘separate is vulnerable.’ We will be restructuring clergy roles and changing staffing to create such a model. Debbie has been an important part of our common life in the whole parish in the past two years and a significant leader among our Spanish speakers for much longer - serving first as seminarian and then as primary pastor for the San Albano community. 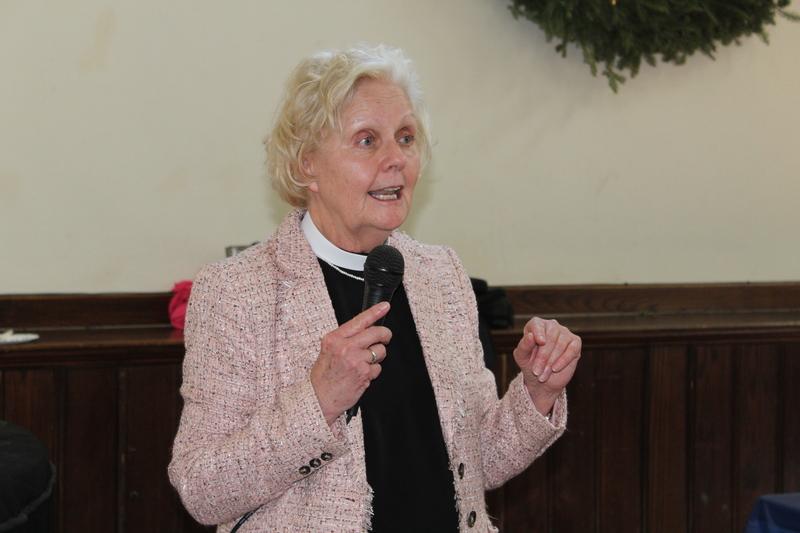 She has offered leadership development and been with us in times of joy and sorrow, offering her significant pastoral skills and giving tirelessly of herself for the growth of the community. We hope to be able to announce that Debbie has found a new ministry opportunity before she steps down this summer, and that we can enjoy a wonderful celebration of her ministry, both past and future. Among her many accomplishments, she has embraced talking less about ‘the San Albano community’ as a separate group and more about the Spanish liturgy of St. Alban’s Parish and the community being fully part of one parish. This seemingly small thing is actually significant, and we will be exploring what that means as our distinctive but accessible-to-all liturgy is served by all the clergy of the parish who will also offer pastoral care as we do for all Anglo and other parishioners. There will be further conversation about that in the weeks to come, but for now I ask that we turn our attention to celebrating our time with Debbie and the gifts she has both shared and brought forth in us. Our associate rector Jim Quigley is on sabbatical until the end of May. He's spending time in the Holy Land and blogging about his journey, the people he's meeting and the places he's seen. 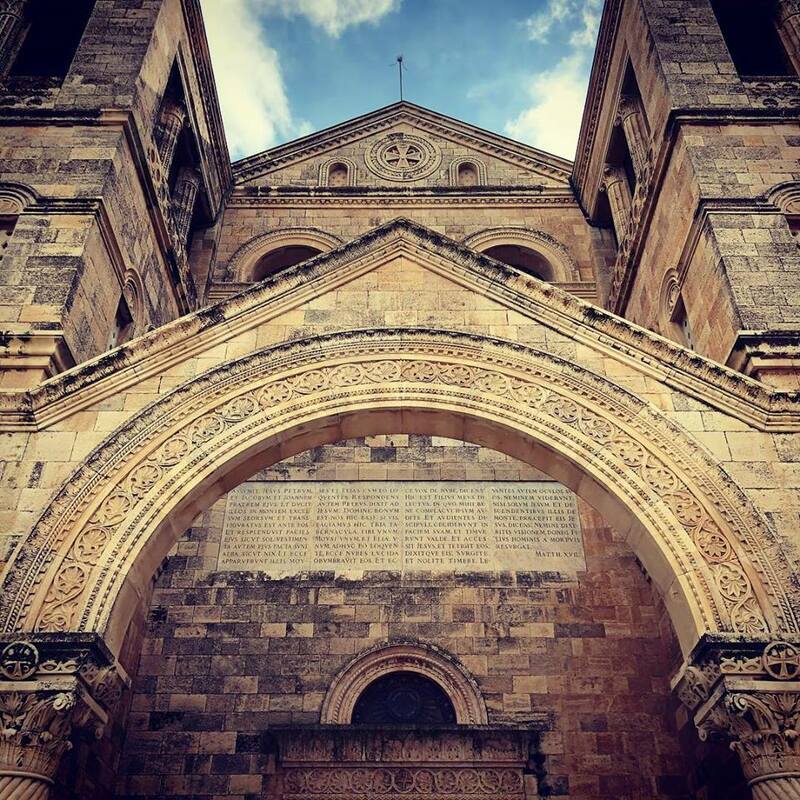 He's also sharing beautiful photos on Facebook, like this one of the Church of the Transfiguration. You can celebrate Jim's return on Sunday, June 2. Contact Deborah Potter to contribute to the reception. And hear all about his experiences at a forum on Sunday, June 9. One of the first women graduates of Hope and Resurrection School, which St. Alban's supports, is now the school's administrator. Deborah Awut Magok is featured in this interview marking International Women's Day. I am delighted to announce that I have invited Matthew Steynor to join us at St. Alban’s to lead our music program. He has accepted with enthusiasm, as you will see from his note to us below. 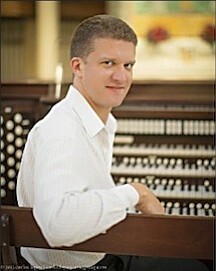 Matthew has served since 2007 as the Director of Music for Trinity Episcopal Cathedral in Miami, Florida. While there he started and sustained an Evensong Chorale and a successful community choir of boys. He has accompanied and led music for liturgies in English and Spanish for the Cathedral in addition to major Diocesan events and services. Matthew has also led choir tours and overseen a significant concert series in Southeast Florida. His early training was as a Senior Organ Scholar at Queens’ College, Cambridge and then at Great St. Mary’s, the University Church in Cambridge. He subsequently served at Christ Church Cathedral in Nassau, Bahamas and St. Thomas’ Parish in Coral Gables, Florida. (I recommend searching his name on YouTube where you will find some examples of his playing and conducting while at Queens’.) He is excited not only by the quality of our adult choirs but also by the potential of our Choral Scholar and Chorister programs. Matthew struck the group advising me (Laura Ingersoll, Kate McNamara, Chuck Burg, Doug Dykstra and the clergy) as a particularly good fit for us among an extremely strong field of candidates. His references are stellar as is his reputation in the Diocese of Southeast Florida. I believe he has the gifts to lead us to great things in the next season of our parish life. Matthew will begin with us on May 15, 2019. I hope you will mark your calendars and plan to join us to welcome him on that day. We are thankful for all who stood for election. To our community Christmas dinner helpers: Thank you to all who planned, shopped, cooked, decorated, set up, welcomed, hosted, “kitchened,” served and, best of all angels, cleaned up. 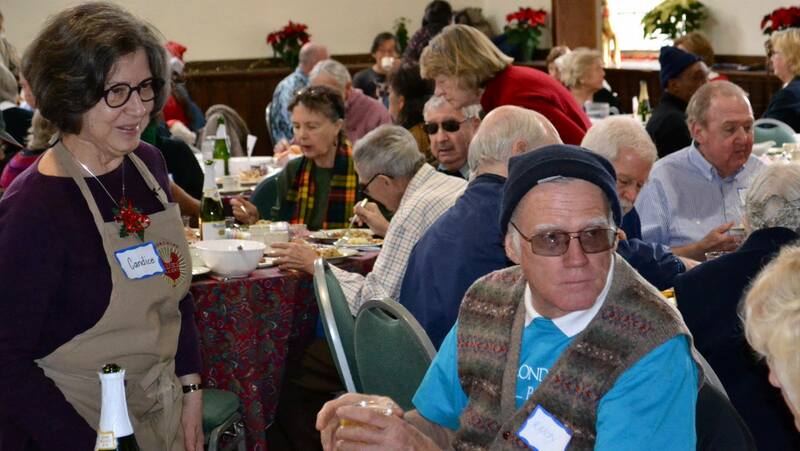 We served upwards of 150 meals and sent people home with over 50 clamshells of leftovers. While all is still fresh in memory, we would appreciate your feedback: what worked; what didn’t; what we needed more, or less, of; and any comments received or observations made – yours or others’. Email Phoebe Jane. 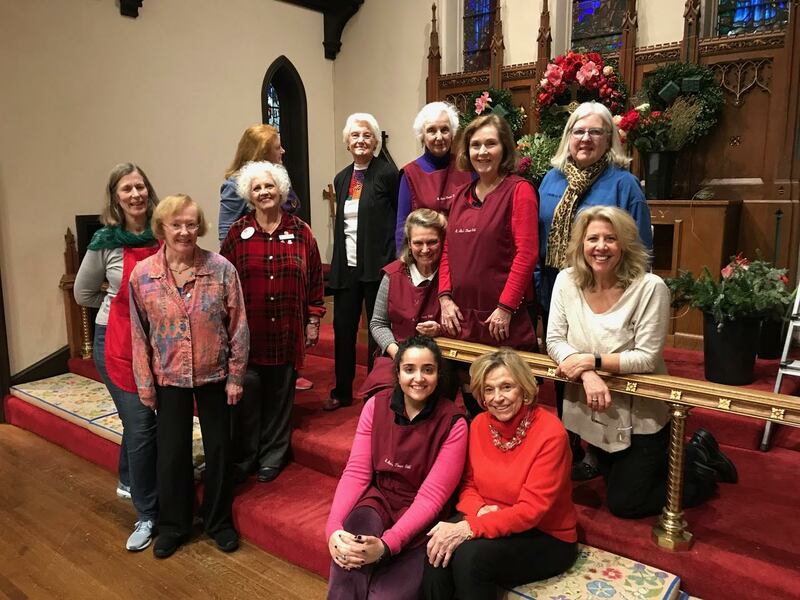 Thanks, as well, to our amazing flower guild for making sure St. Alban's looked its best inside and out during the Christmas season. Flowers on the altar, the font, the pulpit and lectern, and at St. John's chapel were gorgeous. Roping and bows throughout the sanctuary, wreaths on all of our red doors--all of it came together and lasted right up to Epiphany. Did you know you can see the flower guild at work and many of its arrangements in this photo gallery? If you're interested in joining the guild, contact Katie Wilson. 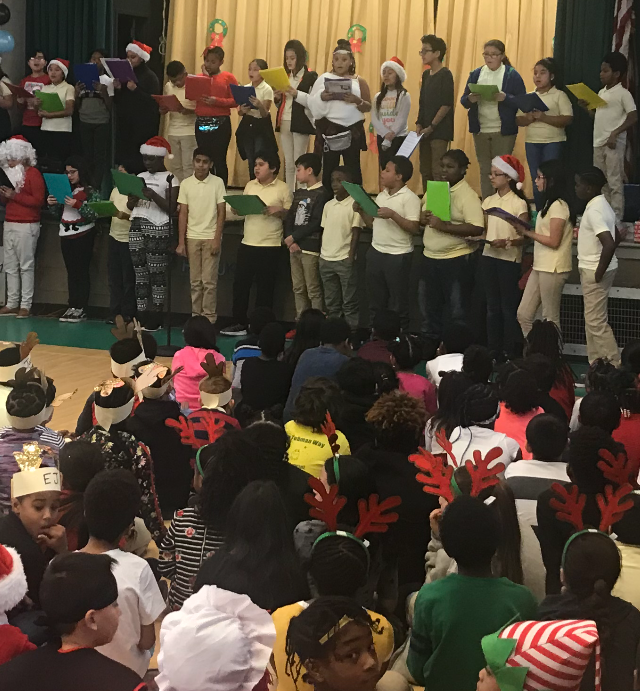 St. Alban's members who volunteer at Harriet Tubman Elementary School got a treat in December when the children performed their annual holiday show. Joy to the world! Located just three miles from St. Alban's, Tubman serves children from three homeless shelters and two housing projects. Learn more about our partnership with the school and contact Tom Jansen if you'd like to get involved. 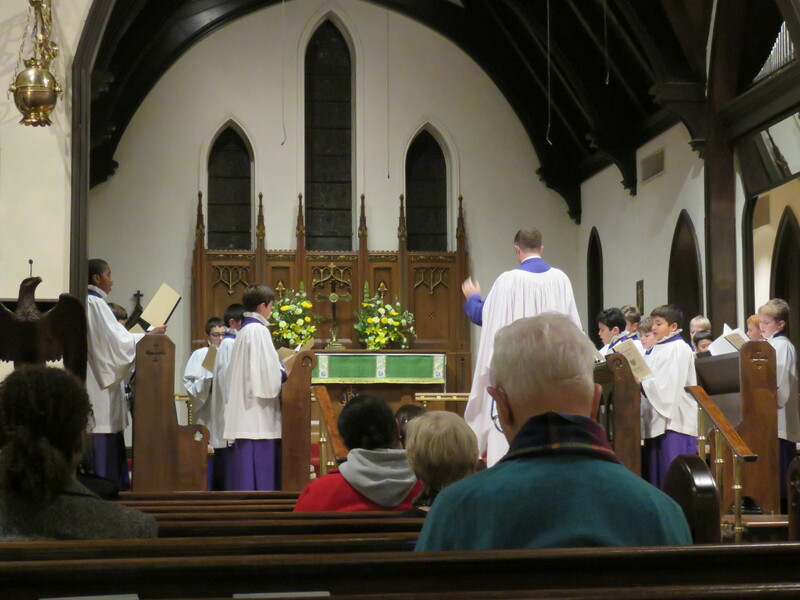 St. Alban's hosted the Washington National Cathedral's weekly Choral Evensong, on Tuesday, November 14. The service featured the sublime voices of the Cathedral's Boys Choir under the direction of Brian Glosh (a St. Alban's parishioner). Our Rector Geoffrey Hoare was the officiant. Choral evensong is an enduring spiritual element of the Anglican tradition, and offers respite, contemplation and inspiration in the midst of our busy modern lives. By a unanimous voice vote, members of St. Alban's approved the revised parish bylaws that conform to new diocesan requirements. The new bylaws can be found here. 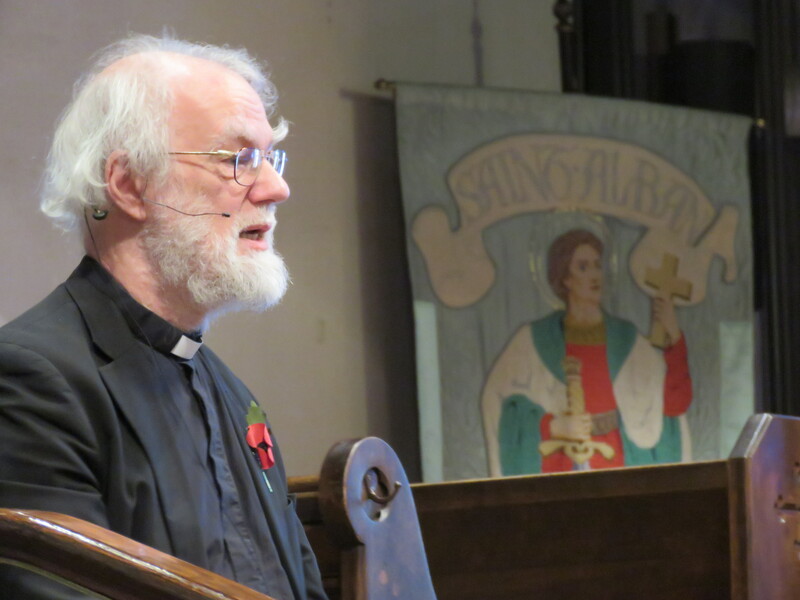 At the meeting on Sunday, October 28, Geoffrey shared some of his hopes for the parish going forward, commenting on music, children and youth ministries, and collaboration with the Cathedral. Looking for something you once found on this page? Want to take a look back at previous events or announcements? Check the news archive page.